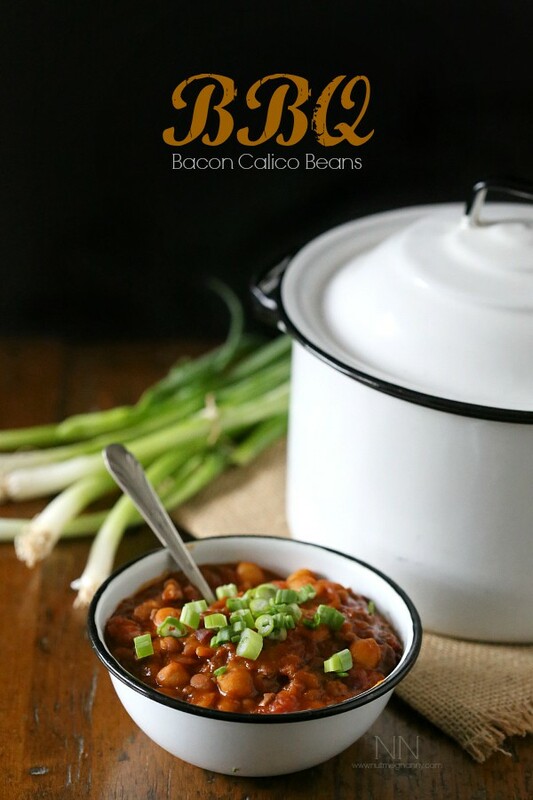 These BBQ bacon calico beans are the perfect summer cookout side dish. This dish is packed full of beans, bacon, beef and bbq sauce. What’s not to love? This weekend I totally got my drink on. I went to the Beer, Bourbon and Bacon Festival with Gina and my lovely husband. Sweet baby J was it a good time. I ate a big plate of brisket, drank A LOT of beer and sampled quite a few different bourbons and moonshine. While I’m a big fan of most beer there were a few that totally threw me off. I tried a sour beer that I swear tasted like it was a made with meat. That is the only way I know how to explain that crap that was in my glass. I also tried a raspberry ale that basically tasted like someone took a packet of Crystal Light Raspberry Ice and mixed it with beer. Totally weird and crazy sweet. My most favorite beer was hands down the 21st Amendment Hell or High Watermelon beer – totally refreshing for summer. I basically stood next to their tent and just kept refilling my glass. My to do list this week includes picking up a 6 pack. Hello summer! After a Saturday of day drinking I need to refill the next day with lots of water and hearty food. Since I’m no longer eating crappy fast food I decided it was time I whipped up another batch of these beans. They have all my favorite ingredients – beef, bacon, beans and bbq sauce. All the B’s of deliciousness. 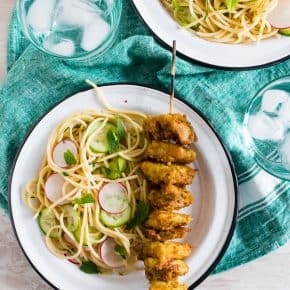 Plus this dish could not be easier to throw together. I personally think it makes a slammin’ side dish but I could see it being a pretty good main dish as well. I like to describe this dish as baked beans on steroids. It’s got that sweet baked bean flavor but it’s packed with Jones Dairy Farm bacon and ground beef. How could you not want to eat a bowl or two of this deliciousness? Looking for more bean filled recipes? 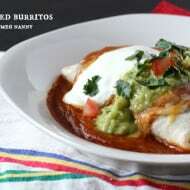 Try my Southern style pinto beans, Austin style black beans or my bean packed smothered burritos. These BBQ bacon calico beans are the perfect summer cookout side dish. This dish is packed full of beans, bacon, beef and bbq sauce. What's not to love? In a large skillet add ground beef, bacon and onion. Cook over medium-high heat until the meat is browned and the bacon just starts to brown. Drain the skillet to remove excess fat. 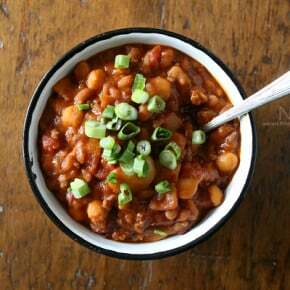 Add meat mixture back to the skillet and pour in baked beans, butter beans, kidney beans, garbanzo beans, diced tomatoes, BBQ sauce, brown sugar, dijon mustard and molasses. Stir to combine and simmer on medium-low heat for 30 minutes. Enjoy as a side dish or a main course. The choice is yours. 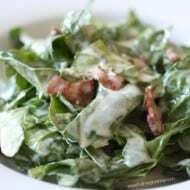 Looking for more Jones Dairy Farm recipes? You’re in luck! 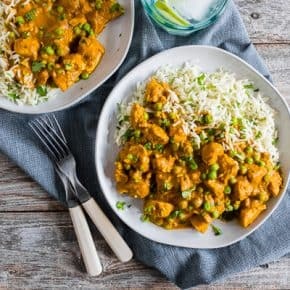 They just came out with a online cookbook featuring 125 recipes – one recipe for every year the family-owned and operated company has been in business. How cool is that! Click here to check out the cookbook! Disclosure: This post was sponsored by Jones Dairy Farm. All opinions and thoughts are 100% my own. Thank you for supporting my recipes while I work with companies I love. I wish my family would eat more beans, because I could eat this entire bowl!! I love these. I have to have beans at a BBQ and these have the perfect mix of flavors. Love all the combination of beans with all the other ingredients! Baked beans are one of the first things I gravitate to at a picnic! Love the flavors here. I keep seeing watermelon beer at my liquor store but I’m not really a beer person so I’ve been too scared to buy it. Picking it up next time I’m there! I loooove baked beans. 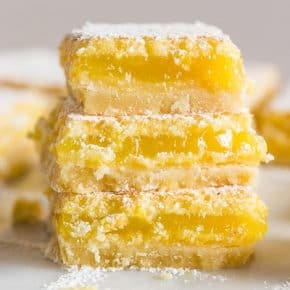 I want these right now! OMG I hope you love it! It’s soooooo refreshing. It’s the perfect summer beer because it’s not too heavy. I bet it would be awesome in some sort of beer/watermelon margarita situation…. 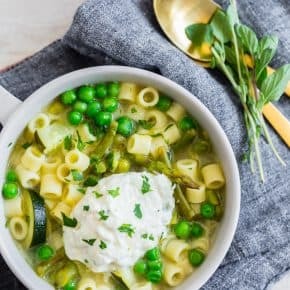 Love that you put garbanzo beans in here too! It looks delicious! Ok, now you’ve convinced me to try both watermelon beer AND baked beans! I’ve been hearing so much about the beer but it just seems like a weird combination. And my step-dad’s go-to side was always baked beans, but canned beans. So it was always a big let-down. Yours are definitely worth trying! Summer is here! We normally eat borracho beans here but these look so good I might have to switch! What a great recipe. 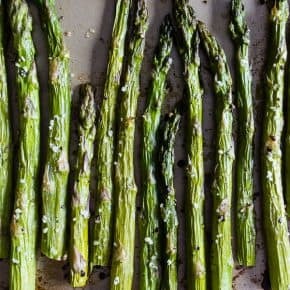 I could eat this as a meal, not just a side dish! Love the three types beans. It looks fantastic. 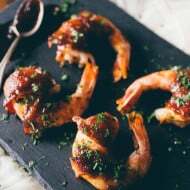 My hubby would certainly love this recipe! I’ve never been a fan of bean,s but I’ve also never seen beans with beef in them. 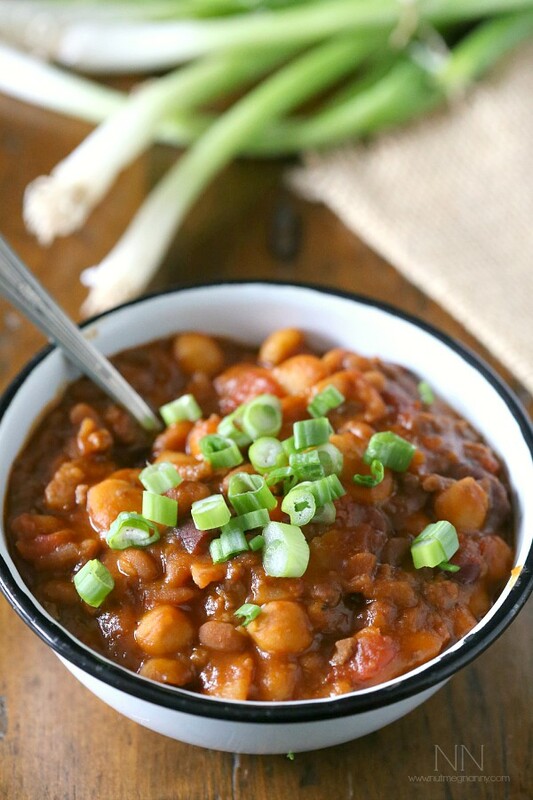 It’s almost like a super bean-y chili! Looks yummy. I’m obsessed with that watermelon beer. I wish it wasn’t so hard ot find! I’m not sure if I could be sold on watermelon beer….but these beans look phenomenal! I wish I had a HUGE bowl of these now! You had me at BBQ and you sealed it with beans. I love any form of beans. This looks amazing. i have a recipe like this except there’s no beef in it and it’s just a side dish. i like the idea of adding more meat and making it the entree! That watermelon beer is one of my favorites!! It’s CRAZY how much it tastes like watermelon. So refreshing! 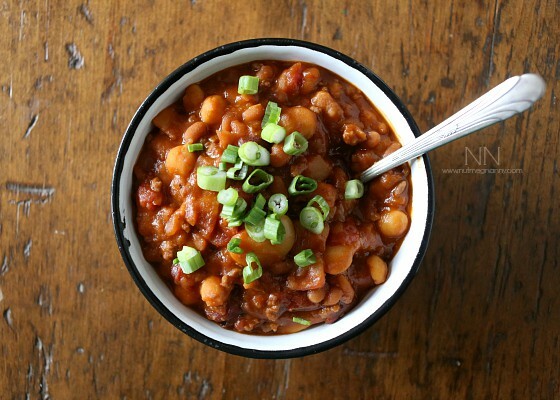 Baked beans feel like a summer happy food. Hearty and feel-good are what these are! 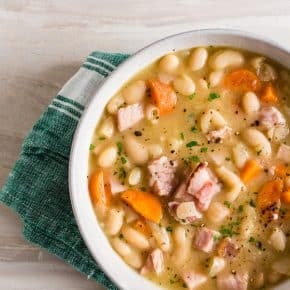 Can the beans cook in a slow-cooker? I’ve been trying to use mine as much as possible lately.